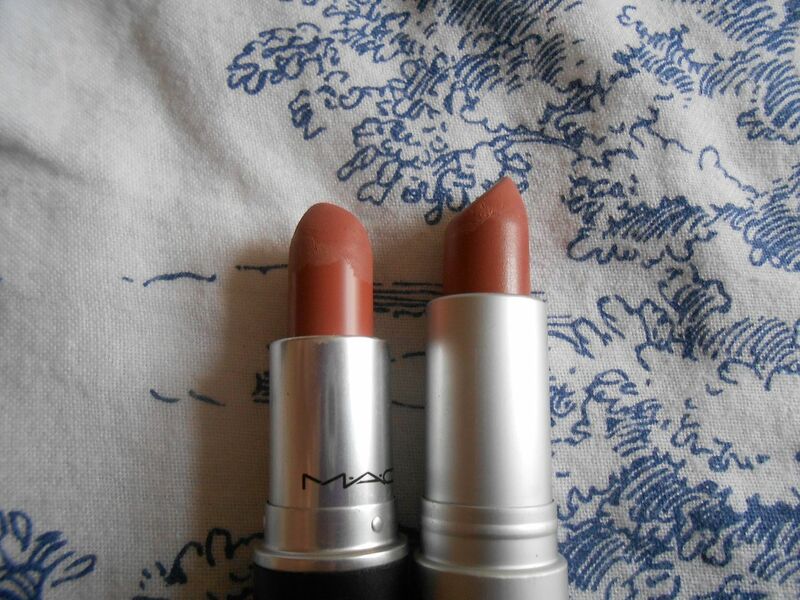 You all know my love of MAC lipsticks… I am a woman obsessed. 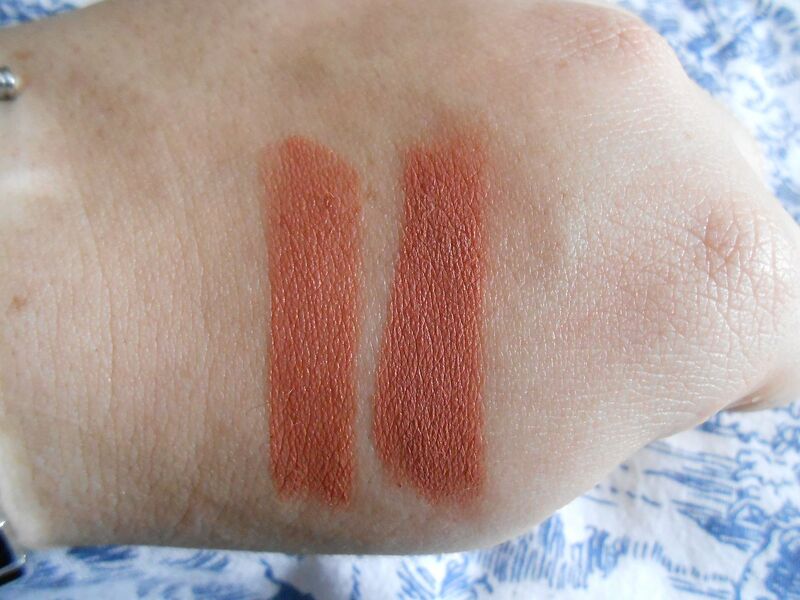 One of my favourite MAC lipsticks is Velvet teddy, and when rootling through my stash the other day I noticed a similarity between that and Velvet teddy! Enter Revlon Mauve it over. 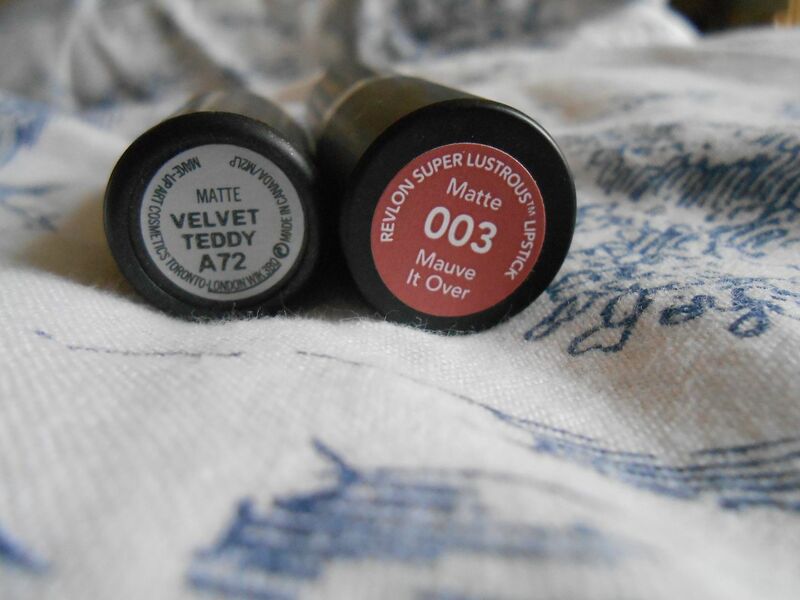 Both the Revlon and the MAC are a matte formula – thumbs up from me. They both apply creamily and last a nice amount of time on the lips. The main difference in terms of colour is that Mauve it over is slightly more orangey. I do prefer Velvet teddy, but there isn’t a huge difference! I can’t really tell them apart that much. The Revlon lipsticks are often on offer – I got mine for £5! 🙂 They are usually £7.99, which is £6 cheaper than MAC. ... the prettiest eyeshadow ever?